A new feature permits election managers to create a form that candidates may submit to create the biography that is linked from the ballot. This does not replace the long-standing ability candidates have had to submit their biography into the system by freely entering text through a word-processor style interface, rather, it is an alternative method of submitting that biography. Which option is chosen by the election manager is neither right nor wrong, but this article analyzes the pros and cons to each. For starters, the following chart gives an idea as to what can, and cannot, be done with each option. 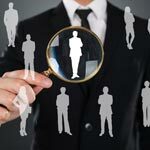 Uniformity within and between candidate biographies is a good thing as tip number 8 at 8 Tips for Formatting Candidate Biographies discusses. There’s no better way to ensure uniformity than to give candidates a form into which they submit their responses and allow the system to output those responses into a template-based display, applying appropriate styling to them along the way. Based on that alone, it would seem that form-based biographies would always be the right choice for everyone. But if your candidates feel the restrictive nature of form-based biographies is going to compromise their campaign message, and the only way they can get that message clearly communicated is to be provided with the ability to freely edit and style text to their own liking, and you wish to placate that concern, you may wish to opt for the free text option. They will be given a set of headings to appear on the biography. Headings could be things like educational background, work experience, mission statement for your organization, etc. They will be expected to provide content associated with each heading, and while there is no technical way of ensuring they don’t edit those headings, as there is using form-based biographies, you as the election manager reserve the right to do any clean up on their biographies before the election begins. “Clean up” means restoring anything they may have corrupted while submitting their biography, or even editing their responses to be stylistically consistent with all other candidate biographies. Create the desired headings. You may even wish to place some placeholder text underneath each heading. Something like, “Please replace this text with your response” could be helpful. You would need to do this for each candidate’s biography before inviting candidates to submit their biographies. If there are any character limits on responses to things like mission statements, communicate that. Again, unlike with form-based biographies, there is no technical way to impose that limit, but make it clear in your instructions to candidates that they should not exceed a certain character or word count and you reserve the right to edit as you see fit to bring it into compliance with those parameters. You would of course have to count characters to ensure the limit isn’t exceeded. With free-form text, the candidate may edit the biography up until the deadline set by the election manager. The election manager may edit the biography at any point whatsoever. All edits, whether done by the candidate or the election manager, are performed on the exact same source, that is, the contents of a single field in a database. This means if two parties (election manager and candidate) are editing a biography, each will see the other’s changes. This is important to understand because it is slightly different than how form-based biographies work. Using form-based biographies, the candidate may again edit the biography up until the deadline set by the election manager. The election manager, however, should not make any edits to those biographies until after that deadline passes. (In practice, the election manager should never make any edits, but the capability exists regardless.) When a candidate is editing his biography, he’s saving his responses to various fields inside a database. This makes it possible to return to the biography editing tool numerous times to work on submitting the biography a little bit at a time, rather than all at once. Those responses also are strung together and written to a single database field, the exact same field which stores the free-form text biographies and which is read during a live election to display a candidate’s biography. The election manager may edit this single field, but remember the candidate is making edits to the collection of fields elsewhere in the database. In other words, a candidate will never see edits made by the election manager because the parties are not reading from and editing the same source data. When the candidate submits changes, those will overwrite any edits made by the election manager. This is as it should be, because election managers should not be in the business of tampering with candidate biographies while the window is open for candidates to submit those biographies into the system. Nevertheless, it’s still good for election managers to at least understand a little of the architecture in this instance since it deals with something which permits multiple parties to overwrite each other’s work while the live editing window is open. Regardless of whether free-text or form-based biography editing is used, election managers will still want to have adequate time to review everything that was submitted before the election begins. How much time that requires obviously depends on the number and length of candidate biographies to be reviewed, so be sure to allow enough time. The best way for election managers to fully understand this new feature in its entirely is to actually use it as both an election manager and candidate. To do that, create a phony election (you can always abort it later); set up a biography template; add yourself as a candidate for the position(s) using the template; trigger the system to send you an email invitation to complete the biography template from a candidate’s perspective.